Arrests were made in a 5-state burglary ring, students demanded more college funding from the state, environmentalist Bill McKibben called on Vermont to take the lead on climate change, strontium was found in fish in Franklin County and a 250-year-old church in Wilmington closed. (State Police Lieutenant Rick Hopkins) "The widespread nature of the crimes involved caused a lot of concern across the area. We had a lot of people in the communities concerned about their safety and security. So we felt that at this point it was really important to let them know that progress is being made." (Vermont State College Chancellor Tim Donovan) "If we look at 1990 -22 years ago – the state appropriation per full-time equivalent student in the state colleges was about $3,300 and now it’s about $2,400, so a 30 percent decline in actual dollars and if you adjust for inflation it’s a 60 percent decline." 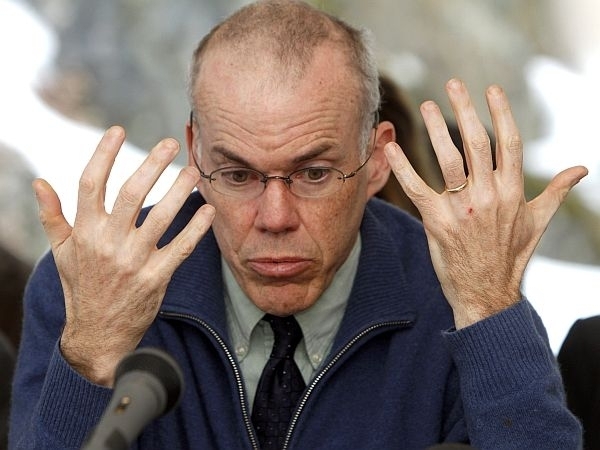 (Environmental activist Bill McKibben) "Vermont, obviously, by itself cannot make this happen. By the same token that argument is true for every single jurisdiction considering this stuff as well. Everyone has the excuse that by myself this will not make a huge difference. If everyone takes this excuse then nothing will happen." (Health Commissioner Dr. Harry Chen) "That tells us radiation is all around us and that the strontium in fish in Lake Carmi probably are resulting from previous nuclear testing and Chernobyl." (Reverend Emily Heath) "It dates back to the earliest days of when Vermont was being settled by the New England congregationalists who came up here. And there’s so much history there. And I think there was a sense of would they be disappointed in us?" A new report says New Hampshire is again the top state for college student debt.